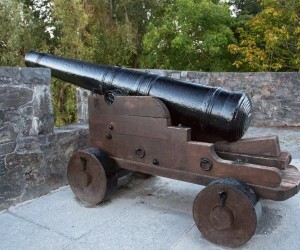 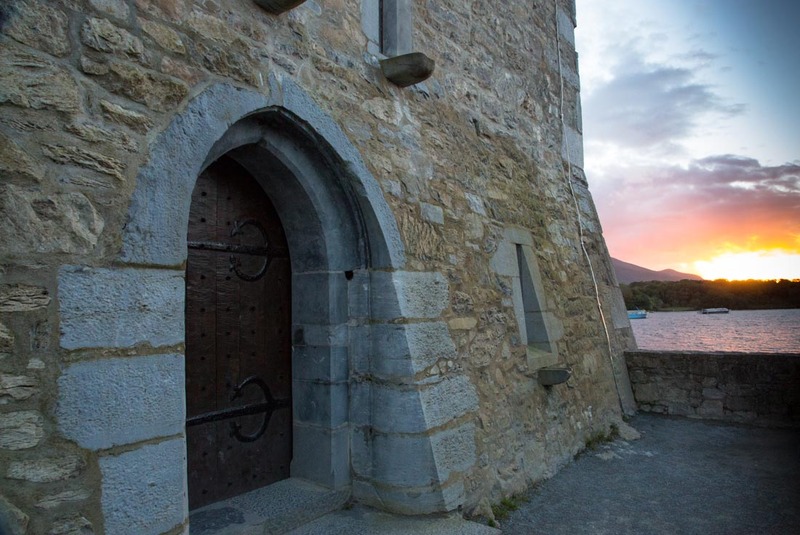 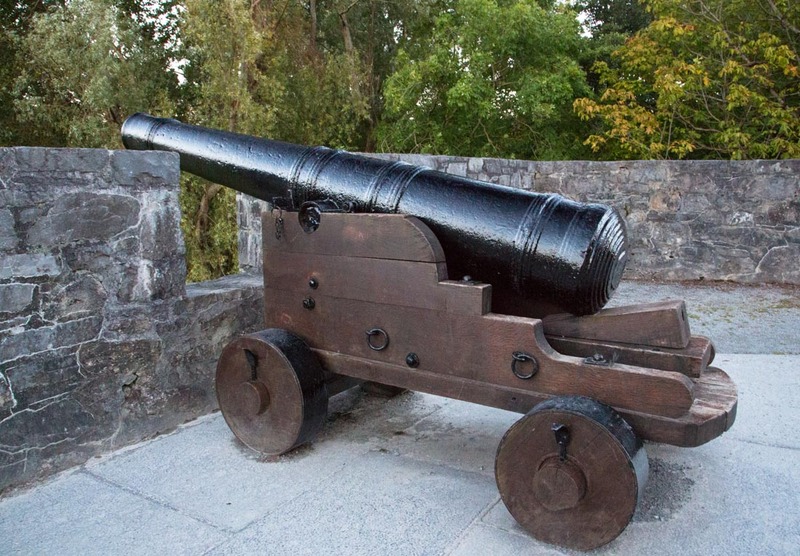 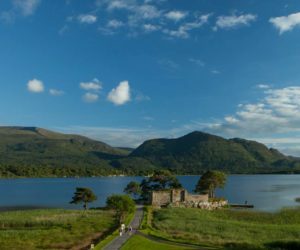 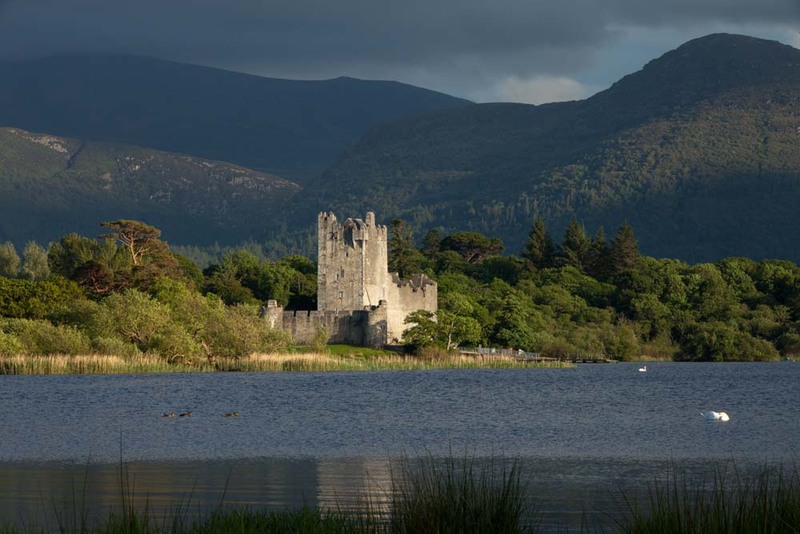 The Ring of Kerry has some beautiful Castles one of our favourites is Ross Castle, it was rebuilt in recent times and now offer visitors guided tours of the Castle. 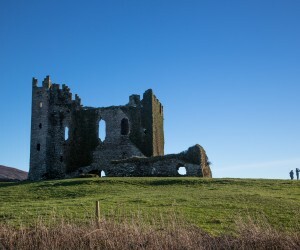 It was attacked by General Ludlow one of Cromwell’s Generals but surrendered to the English forces in 1652. 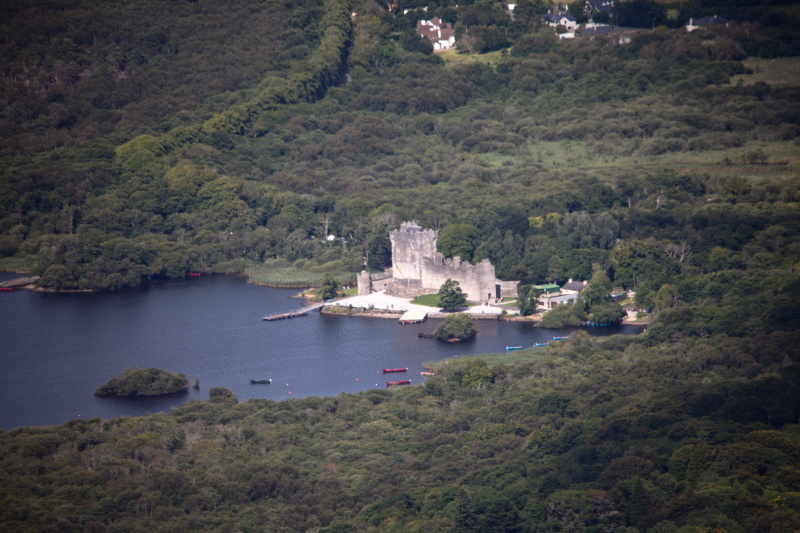 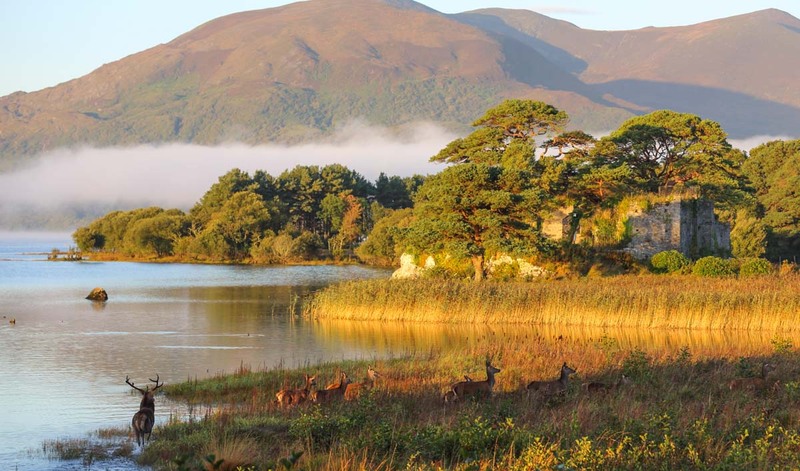 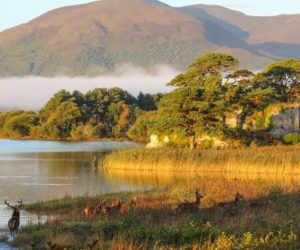 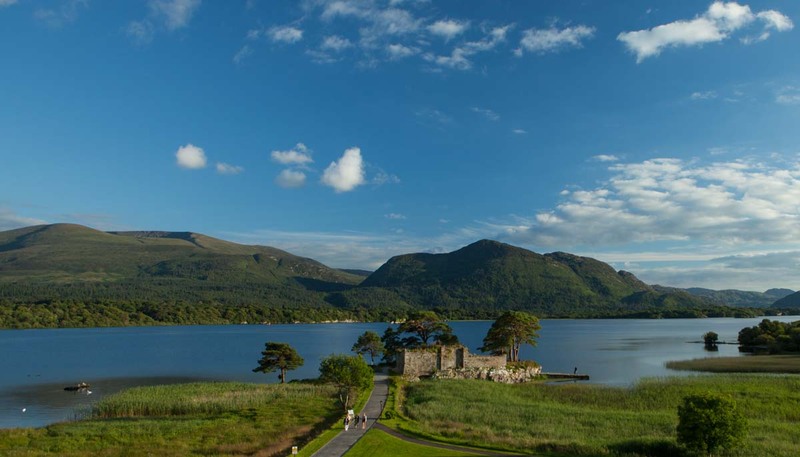 Today at Ross Castle you can avail of Boat trips on the Lakes of Killarney, visit Innisfallen Island by boat and old monastic settlement founded by Saint Finian the leper, home of the book called the “Annals of Innisfallen” housed in Cambridge University in England. 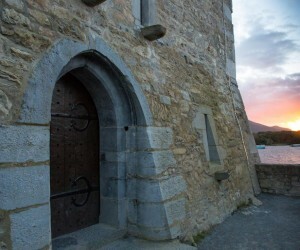 Many think High King of Ireland Brian Boru who fought the Vikings out of Ireland was educated here by the Monks. 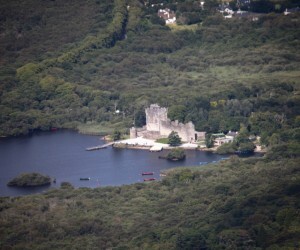 Castlelough Castle or otherwise knows as the McCarthy Mor Castle Castlelough is situated on the grounds of the Lake Hotel. 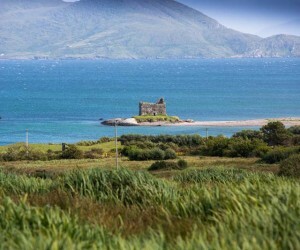 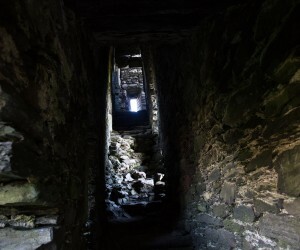 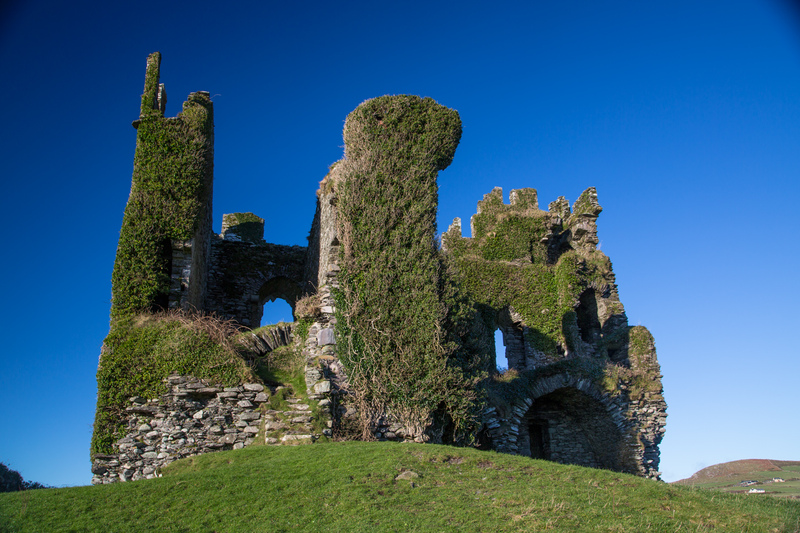 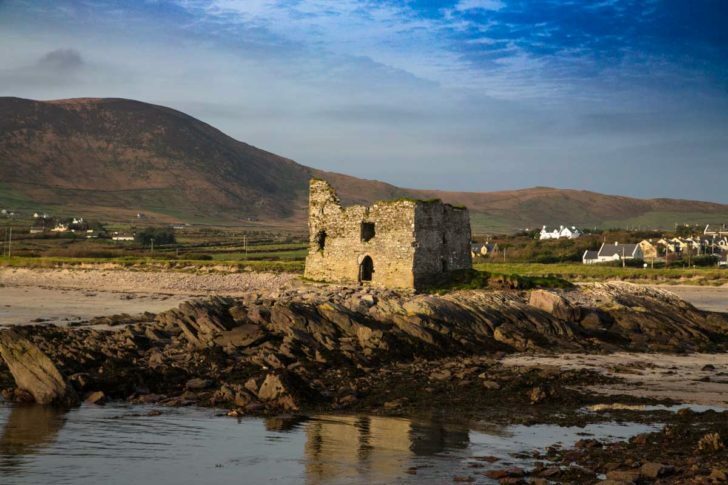 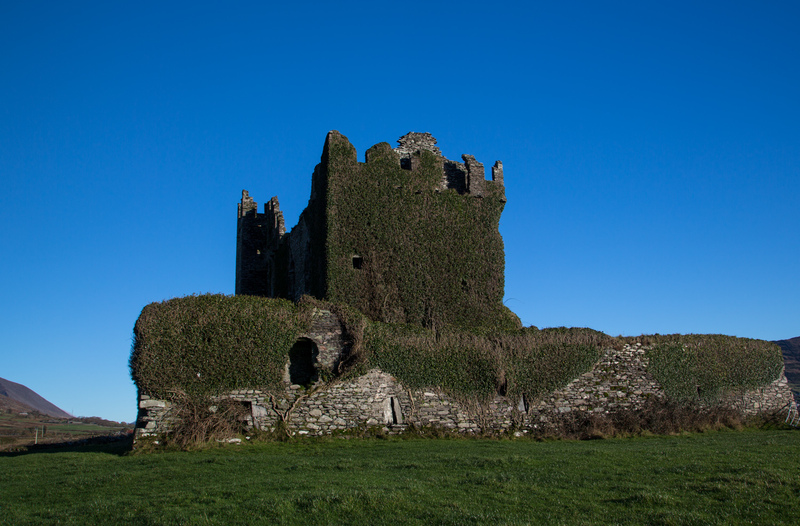 It was here a local Legend known as “Dan of the Feathers” or Donal MacCarthy mor ruled his Castles in Munster. 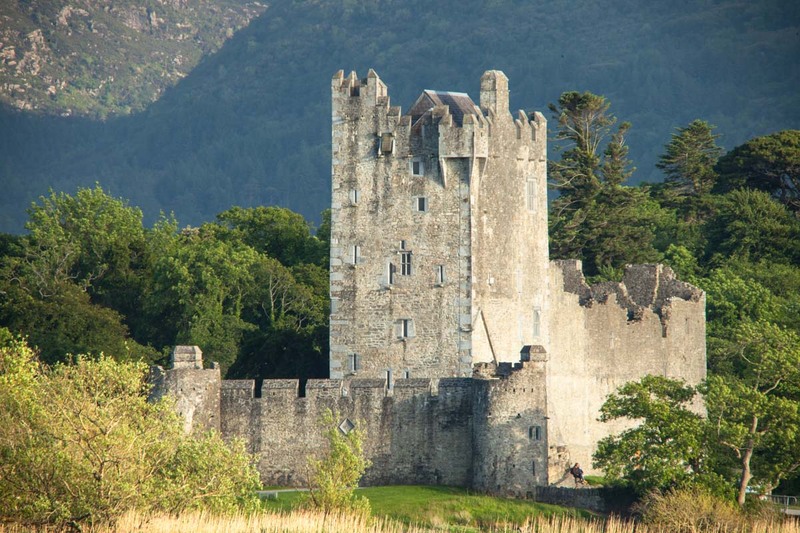 Blarney Castle, Ballymalis and Ballycarbery Castle in Cahersiveen. 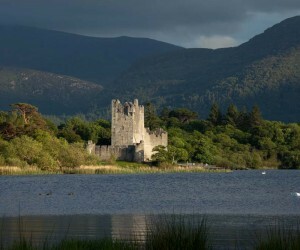 The Queen of England dubbed him the “Robin Hood of Munster”. 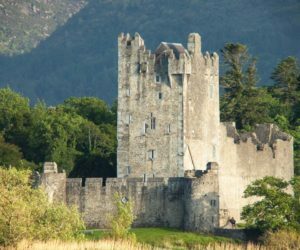 Despite being known as the greatest wine drinker and womanizer of his time he had a religious streak and funded the building of Muckross Abbey in 1448 AD. 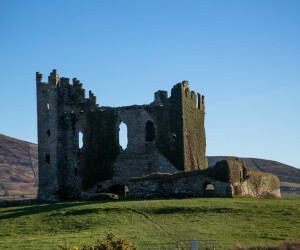 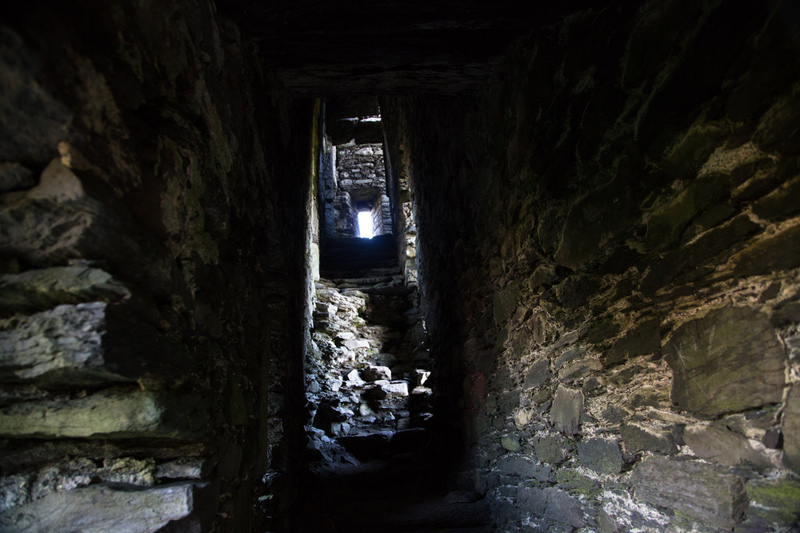 Ballycarberry Castle near Cahersiveen was also attacked by Cromwell’s forces and blown up from the inside out to stop it from being rebuilt. 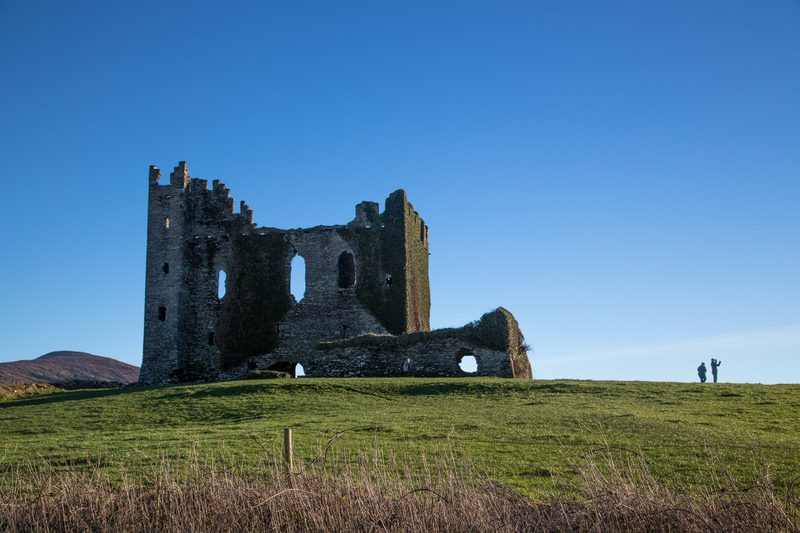 Today it is a striking feature in the landscape over the bridge by the old RIC Barracks. 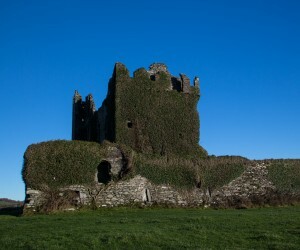 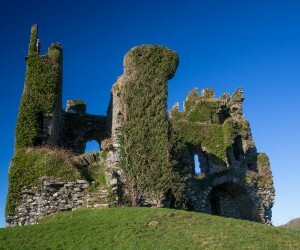 There are many more Castles dotted around the County so when you are here you will be able to come to see for yourself.